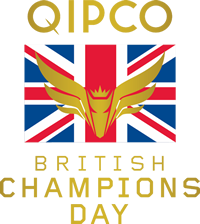 In winning the G1 QIPCO British Champions Fillies and Mares Stakes with Hydrangea, trainer Aidan O'Brien equalled the late Bobby Frankel's record of 25 Group or Grade One successes in a year. Hydrangea, sent off at 4/1, beat the French-trained Bateel, the 7/4 favourite, by two lengths under Ryan Moore in a thrilling race. O'Brien said: "I am so delighted for everybody. It is a big team effort, we are only a small link in the chain and we are so grateful and delighted. "With these Group Ones, every one of them is so hard to win and you never expect anything. You try all the time, which we do. We are doing our best every single day and that's all we can do. It's great to be here and I am so grateful to everybody. "There are so many variables and so many things can go wrong; when you miss at it you never know whether you are ever going to get back there or not. That's the way it is and the way things stack up - sometimes all your ducks come in a row and sometimes they don't, but you just have to accept it and move on from it. "You couldn't be sure that she [Hydrangea] would stay. She is a home-bred Galileo filly and Galileos will not stop: they are most incredible animals in the world. Ryan gave her a great ride and I am so delighted for Jarleth, who rides her every day and Jamie, who looks after her, and Damian, who led her up. "She really pulled out when Ryan wanted her to. It was Ryan's idea to run her - he thought there was a chance that she could get this trip. We weren't sure, but obviously she did and it is brilliant." "This is great for Aidan - it's a massive achievement," said Jockey Ryan Moore. "There's no one more deserving than him and he's done a really excellent job - as he does every year. "It is a massive team effort and everyone who looks after these horses gives so much time and effort for it." 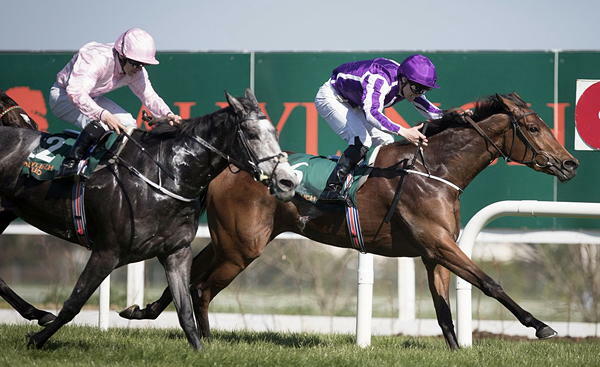 "Hydrangea is great, she's been running very good races all year - she won the Matron Stakes at Leopardstown last month and she won a very good race in the Opera [Chantilly]. She's just super. "I thought she had a great chance here today even though I was hoping the ground would be a bit better than it is. She has a great attitude." The French-trained Bateel, winner of the Group 1 Prix Vermeille last time out at Chantilly, collects more Group 1 form when a brave second. Her trainer Francis-Henri Graffard was thrilled with the Dubawi filly's run, though admitted that initially he was a little disappointed that Bateel, sent off the 7/4 favourite, was beaten two lengths by Hydrangea. 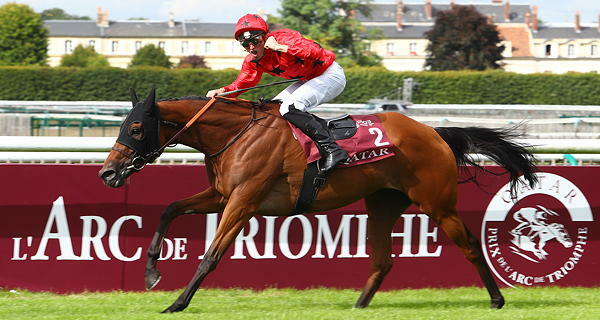 "Bateel has run a fantastic race," said Graffard. "There were no excuses, she had the ground that she likes, she had a perfect run. She came upsides Hydrangea, but when Ryan [Moore] asked his filly she ran away from us. "I was very, very upset to start with to finish second, but when I looked back at the replay, there were no excuses, I am very proud of my filly." When asked if Bateel will return to the racecourse for 2018, Graffard said: "It has to be discussed with the owners, she has done a fantastic job this season and she deserves her place at stud. She will go for a break now and we will chat - I would be happy to have her back, and also happy for her to go stud! Every ending would be good. "She was at the top of her game for the Vermeille, and she was at her top today - there would not be much more improvement in her, but she is a genuine Group 1-performing filly." Of the third-placed Coronet (11/2), James Wigan, racing manager for owner Prince Faisal's Denford Stud, said: "We are thrilled with her performance, and she stays in training for next season."